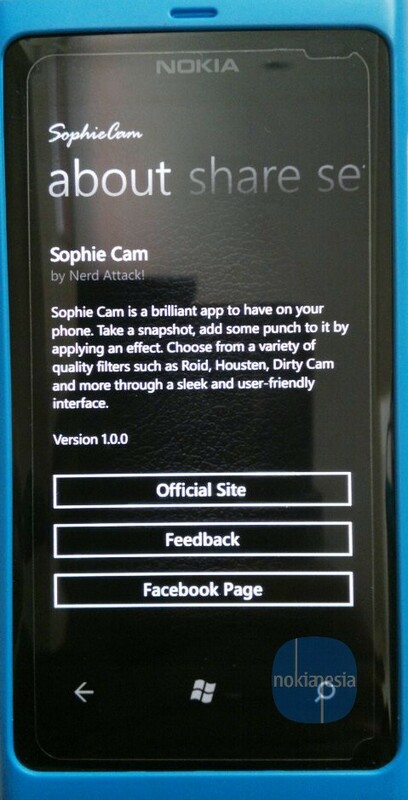 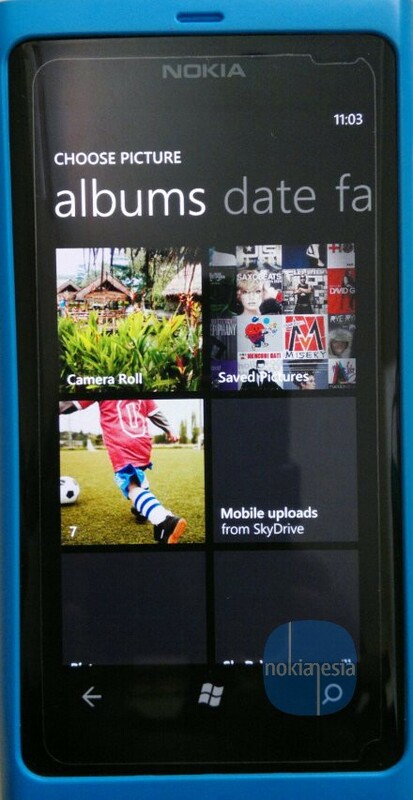 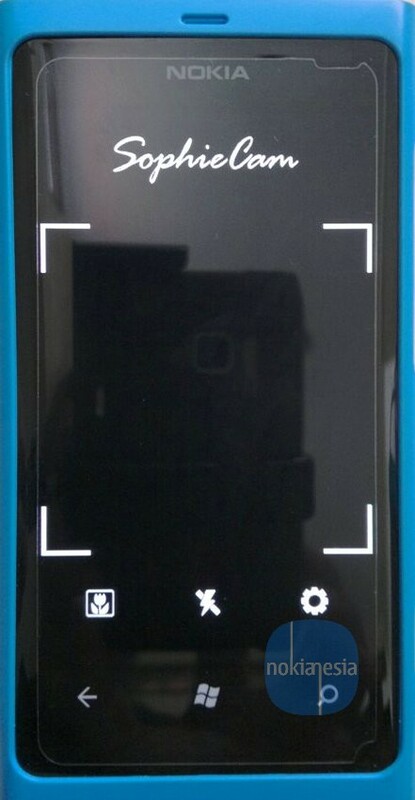 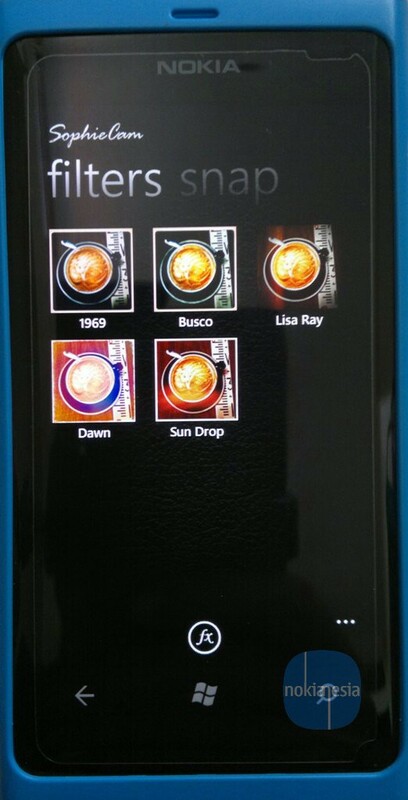 Sophie Cam, a multi platform photo filtering application for Nokia Belle, Meego Harmattan and Nokia S40 Os is now available for Nokia Lumia Windows Phone. 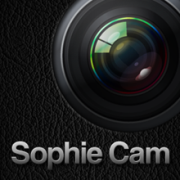 "Sophie Cam is a brilliant app to have on your phone. 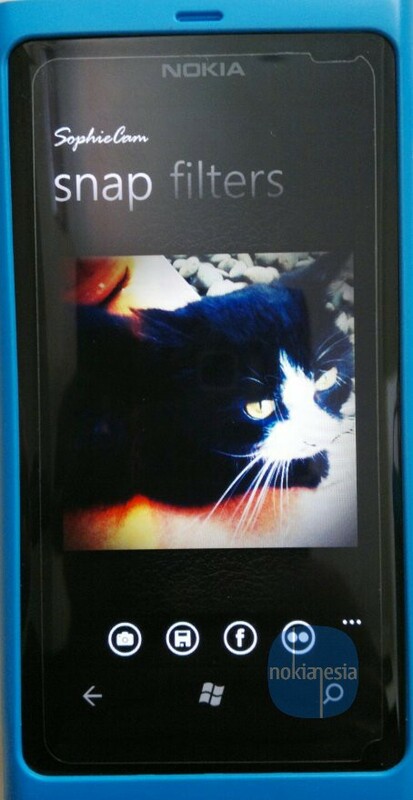 Take a snapshot, add some punch to it by applying an effect. 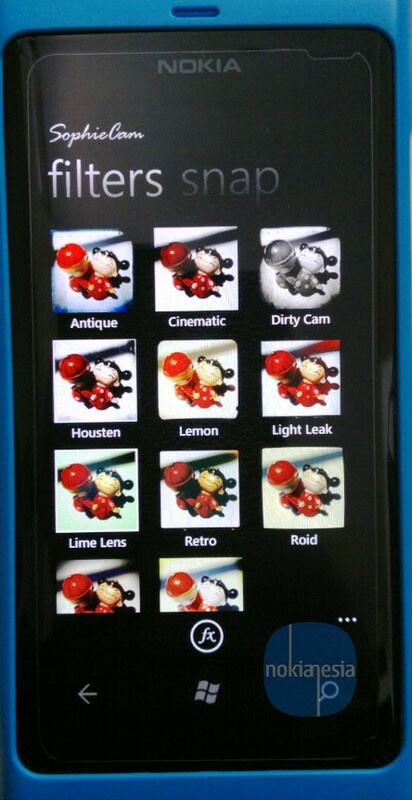 Choose from a variety of quality filters such as Roid, Housten, Dirty Cam and more through a sleek and user-friendly interface. " 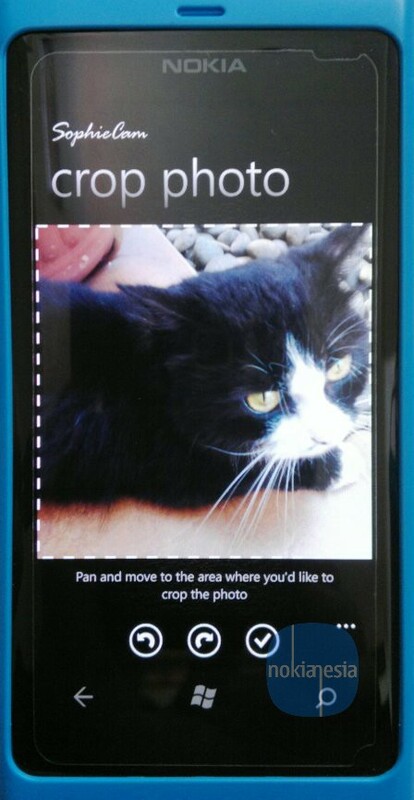 "Don’t forget to share your great moments with your friends via Facebook or Flickr!" 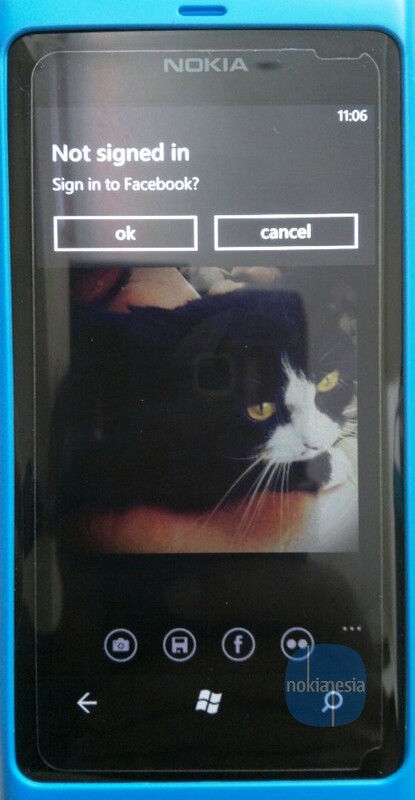 With Sophie Cam you can take a picture from your Nokia Lumia Windows Phone or simply select from your gallery then add your best effect and share to your social networking account.